June began painting after graduating from the Kingston College of Art, and a career of over 30 years in Interior Design. 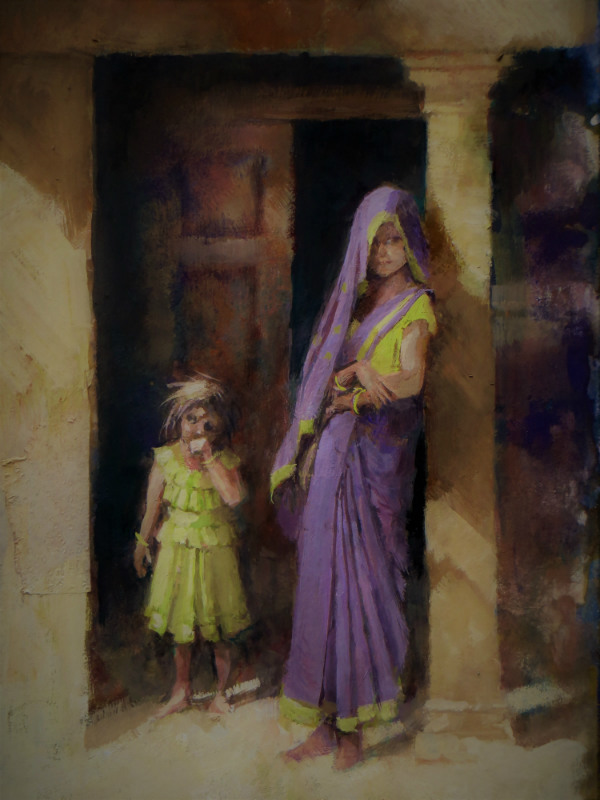 The content of her paintings has changed over the years; her surroundings on Dartmoor, Interiors, figurative works, Greek life, and in recent years, life changing travels in India, exploring the lives of people there, the sense of place and predicament, atmosphere, light and colour. She works in many different mediums but pastel is her favourite, with drawing an essential part of her painting process. She is a member and prize winner of both the Pastel Society and SWAc.